In this article or beer cellaring guide , award winning beer writer Patrick Dawson gives us quick overview of what to look for in a beer that you plan on ageing. Not everything gets better with age and this is especially true for beer. Certain styles lend themselves to cellaring more than others. You can’t just pick random beers and throw them into a corner of your basement and call it “cellaring”. That being said, we’ve brought you some expert advice. So, what clues can you look for that signal a beer has the most potential for aging? I usually go by the rule of the “Three S’s”: Strong (8 percent ABV or more), Sour, or Smoked. High alcohol, acidity or smoke phenols each essentially act as a preservative, which slows the aging of a beer. Think of the difference between a raw pork chop and a stick of salami, both left out on the counter overnight. The salami, loaded with preservatives, will probably be unchanged, while the pork chop will already have begun to transform into a smelly, slimy wreck. Beer is no different; just think of strong, sour or smoked beers as “preserved” beers. Hoppiness (taste, aroma and bitterness) fades away over time. Booziness will lessen over time and be replaced with sweet notes. If the emergence of dried fruit flavors are the goal of aging, look for a beer that’s estery (fruity) when young. Roasted malt character mellows with time. Spicy phenols (think Belgian yeast) transform into flavors like vanilla, leather and tobacco. A beer’s body will thin with age, so select beers that are almost too sweet when young. Given enough time (think years), acidity will soften and integrate into a beer. 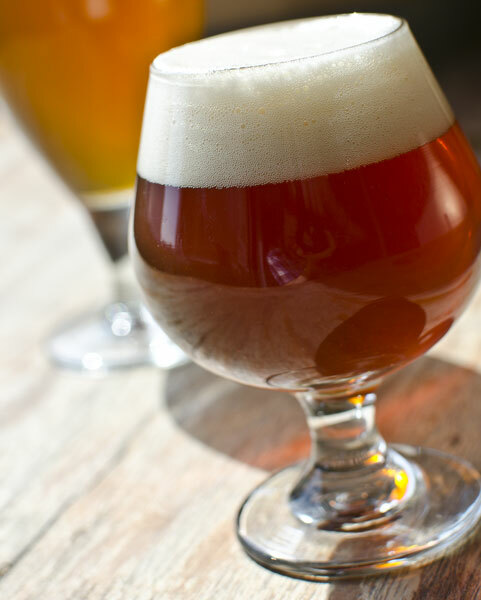 With these tips in mind, certain beer styles jump out as being particularly cellar-worthy. So some of the suggestions on this list may not come as a surprise, but you should now have a better idea as to why they make such good choices—and that will enable you to recognize when your cellared beers are drinking at their peak. 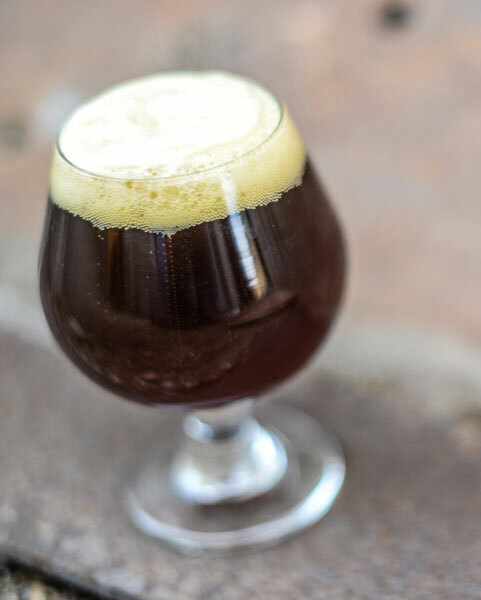 A bit different from its American cousin, British-style barley wine is typically boozier, darker, less hoppy and offers a more fruity yeast character. This spells vintage success. As the higher alcohols mellow, they’re replaced by sweet notes like caramel and amaretto, building complexity in the overall profile. The young yeast esters are the building blocks necessary to create the raisin, fig and date flavors so appreciated in these beers, while the already minimal hoppiness means you won’t be losing a critical component as the bitterness fades. Imperial stout is a very popular candidate for cellaring, mostly due to the intense, sometimes overwhelming alcohol and roasted malt presence. When these beers first depart the fermenter, they are often intensely boozy and roasty; but given a few years, the roasted character will substantially mellow into a chocolate-like flavor. When paired with the emerging sweet notes from the higher alcohols, this can create a delectable treat. Be wary of aging imperial stouts too long, though—after about three years the roasted character will eventually change into molasses, losing what makes this style special. 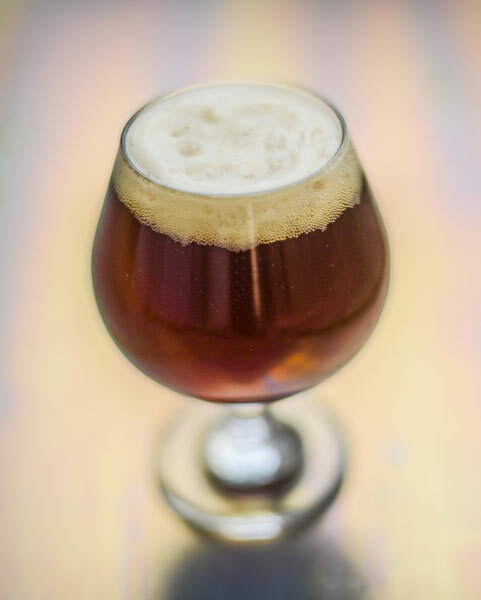 Belgian-style strong dark ale, more commonly known as quadrupel, typically weighs in at 8 to 10 percent ABV or more. It can almost be thought of as Belgian barley wine. As with imperial stout and British barley wine, one of the main reasons to age this style is to give the initially harsh alcohol presence time to smooth out. However, what really takes these beers to the next level is the Belgian yeast, which adds tons of fruity esters and spicy phenols. Over time, that fruitiness will evolve into a multitude of dried fruit flavors (figs, dried cherries, stewed plums) and the pepper-like phenols will metamorphose into vanilla and leather, resulting in an ultra-complex vintage beer. A blend of one-, two-, and three-year-old Belgian-style lambic, gueuze is already a vintage beer (and incredibly delicious) when it’s first released. However, further aging allows the sourness to soften, which lets a multitude of background flavors (funk, must, tropical fruits) share the stage. Look for the slight grainy sweetness to disappear, the bitterness to fade and the body to dry out as it starts to deliver an almost champagne-like experience. Smoked beers come in a wide variety of alcohol strength, leading some to think they’re not age-able. However, those brave enough to try will find that the smokiness, which can often be quite intense, integrates into the beer (no different than a stew allowed to rest overnight). The smoke mellows and becomes sweet and cigar-like. Because of the rich, decoction-mash malt profile, the body of these beers thins slowly—they can stand up for years. There are, of course, plenty of beers outside of these styles that age exceptionally well. But when you first begin to age beer, try one of these tried-and-true styles to give yourself a leg up. After all, a good beer is too beautiful of a thing to waste. This article was excerpted from the original at craftbeer.com .